So was University at Buffalo women’s basketball coach Felisha Legette-Jack, and seemingly the entire bench. That 3-pointer, Hemphill’s third on five attempts from long range this season, gave Buffalo a bit of breathing room early in the fourth quarter of its 82-71 victory over Rutgers in the first round of the NCAA Tournament on Friday at Gampel Pavilion. And it steeled the junior forward for a remarkable late-game performance. Dillard contributed 20 points, four rebounds, six assists and four steals. Hemphill, who hit 9 of 14 shots, added a team-high seven rebounds. 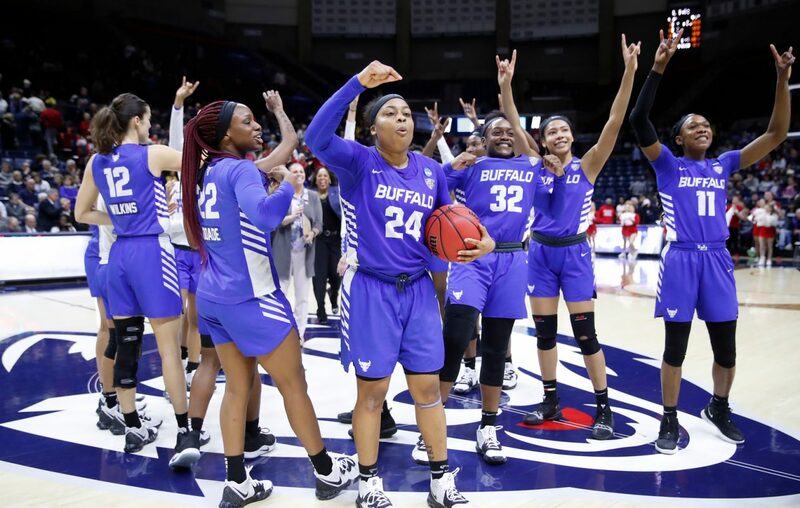 Sophomore point guard Hanna Hall had 12 points and a career-high eight assists, and senior guard Autumn Jones also scored 12 points as UB became the first women's program in Mid-American Conference history to win a game in the NCAA Tournament in consecutive years. 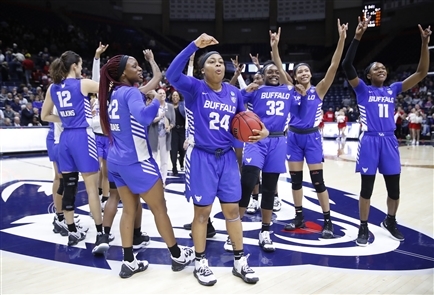 Buffalo was making the program’s second consecutive trip to the NCAA Tournament and third in four seasons. But Dillard was the only starter who returned from last year’s team, which graduated five seniors. Stasha Carey paced Rutgers with 20 points and 11 boards. Arella Guirantes added 14 points. But Rutgers responded with a 14-2 run over the next six minutes. Tekia Mack hit consecutive layups to tie the score and give the Scarlet Knights a 38-36 lead. UB went without a field goal for 5½ minutes until Hall drilled a 3 at the buzzer to trim Rutgers’ advantage to 43-41 at halftime. Buffalo continued to struggle to score early in the second half. Rutgers opened the third quarter on a 9-2 run, pushing its lead to 52-43, but the Bulls stormed right back, rattling off 10 consecutive points. Hemphill’s layup gave UB a 53-52 lead with 4:35 remaining in the third.